A lion had been gorging on an animal he had killed, when suddenly a small bone in the meat stuck in his and he could not swallow it. He soon felt a terrible pain in his throat, and ran up and down groaning and groaning and seeking for something to relieve the pain. He tried to induce every one he met to remove the bone. 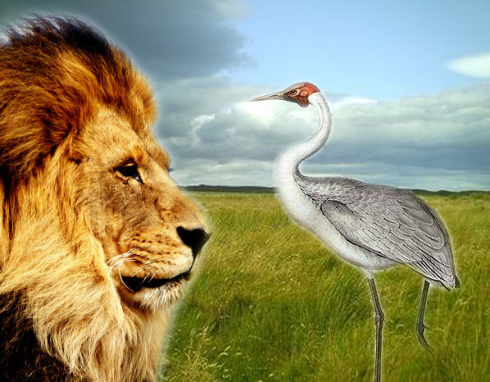 At last the Crane agreed to try and told the Lion to lie on his side and open his jaws as wide as he could. Then the Crane put its long neck down the Lion’s throat, and with its beak loosened the bone, till at last it got it out. Moral: Gratitude and greed to not go together. – Aesop’s Fable.